To study business in Ukraine will be a great option for those international students who are looking for study abroad destination in Europe. WHERE TO STUDY BUSINESS IN UKRAINE? Ukraine has many national universities where foreign students are study their business degree programs. Business degree programs are taught normally at all economics universities by professional teaching staff and that is the reason for acceptance of business degree earned from Ukraine is accepted worldwide. Business courses of Ukraine are very well known everywhere in the world and that is the reason for the admission applications by international students every year are in huge numbers. For 2019-2020 also Ukraine is receiving great numbers of applications from different countries. To be admitted for business course on bachelor level foreign students must have secondary school certificate and for masters program a bachelor degree is required by all foreign and national students. Why international students prefer to study business coursers in Ukraine,It is just because of high standard of education and affordable fee structure.Living conditions are also great for foreign students. Ukraine offers the business course in two languages and international students may choose that which language of instructions they want to study for their business degree programs. National students study their business degree programs in Russian medium of instructions while foreign students prefer to study their business degree program in English medium of instructions. Not all international students choose English as their medium of instructions in Ukraine for their business degree programs and it is because not all students come from the countries where English is well understood and spoken. Many students come from the countries where French or Arabic languages are understood and spoken.These countries nationals study first year Russian language program for 10 Months and than join their Business degree course in Russian medium of instructions. Any international students may choose their medium of instructions themselves. 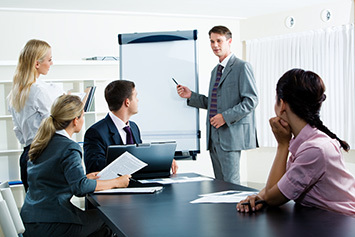 Business degree is taught on bachelor and masters levels in Ukraine. Business courses are taught at normally economics universities in Ukraine which work under the supervision of Ukraine government. Bachelor degree is called BBA (Bachelor in Business Administration) and it consists of 4 years while masters degree in business is called MBA(Masters in Business Administration). MBA consists of 2 years and is also taught at all national economics universities in Ukraine. To be admitted at any national economics university in Ukraine on bachelor level all international students must have passed secondary school and scan their school leaving certificate with passport copy in the Email of admission staff. For masters in business all international applicants also scan their bachelor certificate too. Once these required documents are received,Admission staff assess the documents for eligibility or ineligibility and the applicants are notified by Email within 1-2 days. All eligible applicants send a nominal fee for admission and their documents are forwarded to the Ministry of Education,Ukraine for the issuance of official study invitation.This issuance process is completed within 2 weeks maximum and the invitation is dispatched to the applicant for visa process. Ukraine study visa is issued normally now without physical appearance at Embassy of Ukraine.Applicants submit their visa file at Ukraine visa center and collect their visas right from them. Some countries nationals apply their visas personally at Embassy of Ukraine like Namibia and Zambia. We advise foreign students to scan their visa copy in the Email of admission staff for the preparation of reception documents. Foreign students who are interested to study business in Ukraine may contact us freely anytime for their 2019-2020 admission process.